The WORLD LEADER in digital multi-car air-brake testing. The digital air-brake tester keeping your trains, employees, costs and safety concerns on track. The YardMasterTM is the permanent trackside stand for the Brake-BossTM digital air-brake tester. 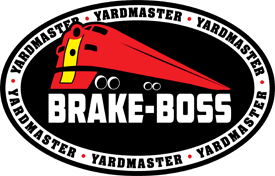 Reduce rail yard costs and increase efficiency with the Brake-BossTM and Yard MasterTM digital air-brake tester. Ensure all your rail cars are compliant to required government standards and eliminate potential costly fees & penalties. We fully customize all of our products specifically to fit the needs of your rail yard. Real-time reporting via the web or your mobile device. Customer satisfaction after the sale is paramount to our success at Connected Controls Incorporated. Our products are proudly made in the USA and we stand behind them 100%. We're here for you; 24 hours a day, 7 days a week, 365 days a year.